Travellers using Northern trains are facing another frustrating day following yet more cancellations and delays. According to Northern's website, there is currently disruption along 13 routes with many services cancelled. There are currently issues on the following services and Northern is advising customers to check before they travel. The latest disruption comes after Network Rail and Northern announced last week that they will be commissioning an independent report and recommendations into the preparations and processes leading up to the implementation of the recent timetable change. Since the introduction of the new timetable on Sunday 20 May, many train customers have faced delays, cancellations and overcrowding. The timetable change, the biggest in decades, is designed to boost capacity with better trains and more services in the long-term. However more immediately it has not delivered an acceptable service for customers, especially on routes around north Manchester extending up to Blackpool. The multi-billion pound investment plan in the north will mean improved connections, shorter journey times, larger and better trains and more comfortable journeys. There will be more frequent trains delivered through track and train upgrades as part of the Great North Rail Project. This is in addition to measures announced yesterday to tackle the current disruption. 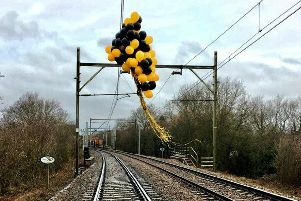 Martin Frobisher, managing director for Network Rail’s London North Western route, said: “We recognise how tough it has been for customers, particularly since the May timetable change last weekend and we’re sorry for that. We are working hard with Northern to get service back to where it needs to be. We will work as one team to achieve this. David Brown, managing director of Northern, said: “We are doing everything we can to minimise cancellations and delays and keep our customers informed. It has been difficult for many of our customers and I am truly sorry for this.